Enroll your Windows device in the Intune Company Portal app to get secure access to work and school apps, emails, and files. If your organization requires or recommends certain apps, such as Office or OneDrive, you'll either receive them during enrollment, or they'll be available in Company Portal after enrollment. You can enroll Windows 10 devices through the Company Portal website or app. If you're enrolling a device with an earlier version of Windows, you must enroll the device through the Company Portal website. You might already have the Company Portal app installed on your device. Check for the app in your All apps list. If you don't see Company Portal in your list of apps, follow these steps to install it. Open Microsoft Store on your device. In the Search field, type Company Portal. In the list of results, select Company Portal > Install. Select either Install or Free. There is no difference between these two options; the words appear based on how your organization set up the app. Enrollment steps differ for different versions of Windows 10 devices. The following steps describe how to find the version number on Windows 10 desktop and mobile devices. After you know your version, continue to the recommended enrollment steps. In the search bar, type the phrase "about your PC." 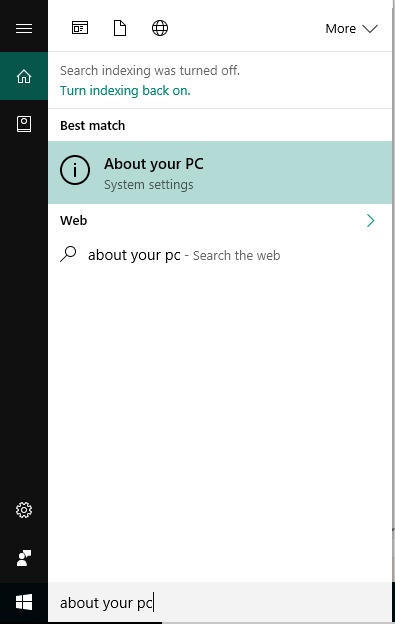 Select About your PC from the results. 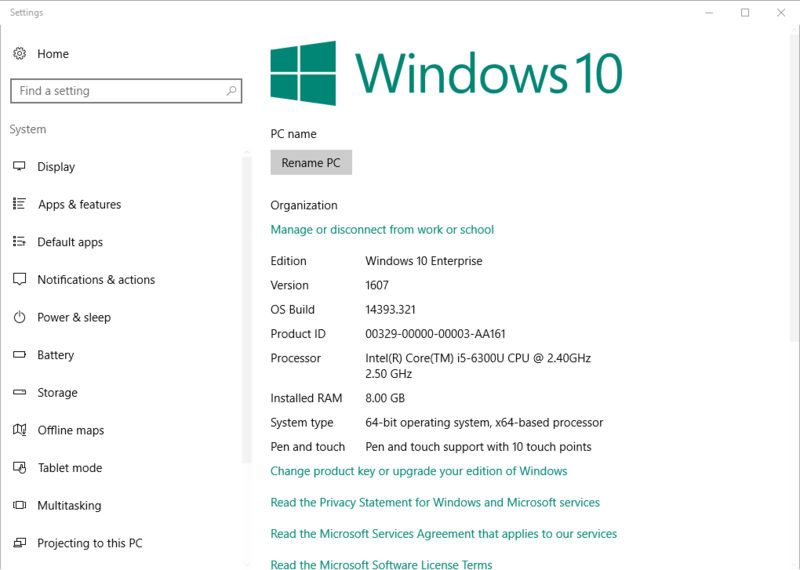 Scroll down to Windows specifications to find the Version of Windows 10 that's installed on your PC. 1607 or later: Enroll your device by way of the Settings > Account > Access work or school route. 1511 or earlier: Enroll your device by way of the Settings > Account > Your accounts route. Go to All apps and select the Settings app. Under Device information, find the Version. 1607 or later: Enroll your device using the Settings > Access work or school route. 1511 or earlier: Enroll your device using the Settings > Accounts route. Now that you know the supported devices, and your Windows 10 version number, proceed to the recommended enrollment article. What information can my organization see when I enroll my device? Need help? Contact your company support. Go to the Company Portal website to find your organization's IT contact information.